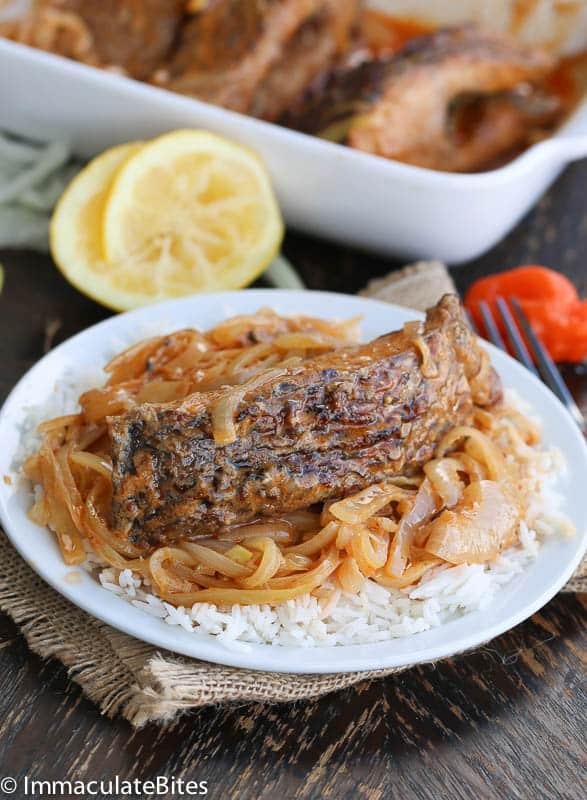 Fish Yassa aka Poisson Yassa – A Senegalese seasoned fish smothered in lemon, garlic and mustard sauce- grilled or fried. It is the Lenten Season (I think I mentioned this, already) and on Fridays, We (Catholics) do not eat meat. Since am Catholic I stay away from meat, on Lenten Fridays –it is not like we eat a whole lot of meat, in my household. But when you are restricted from something that very thing, becomes even more irresistible. 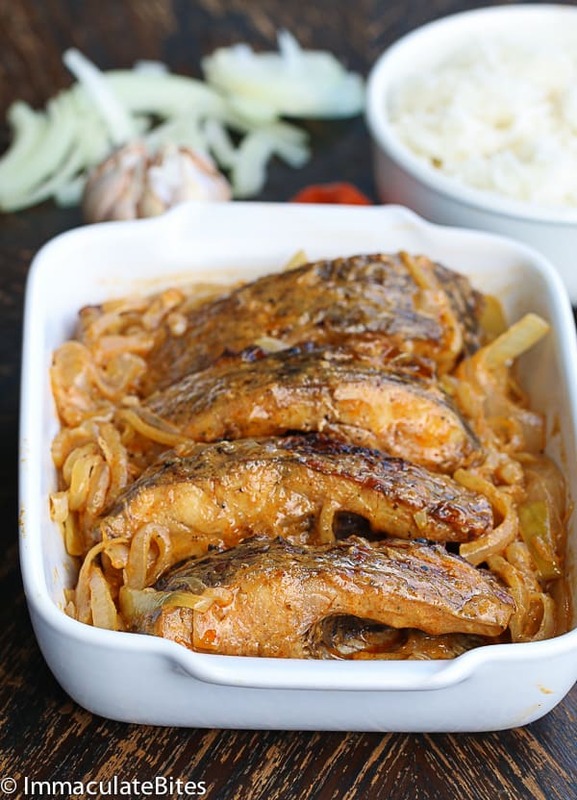 Don’t count on me to fall prey to this temptation when I have this Yassa fish. It is just not happening. Jamais- Never. 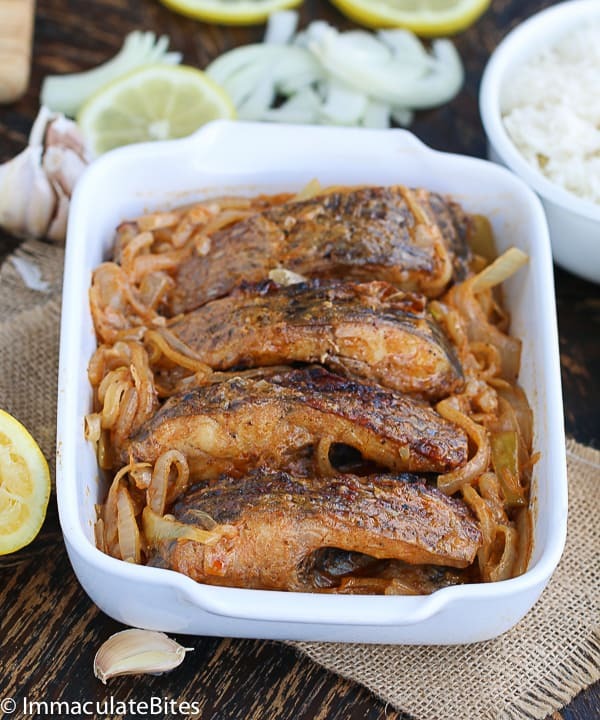 Now lets talk about this fish, it is a variation on yassa chicken- I swapped the chicken for fish. 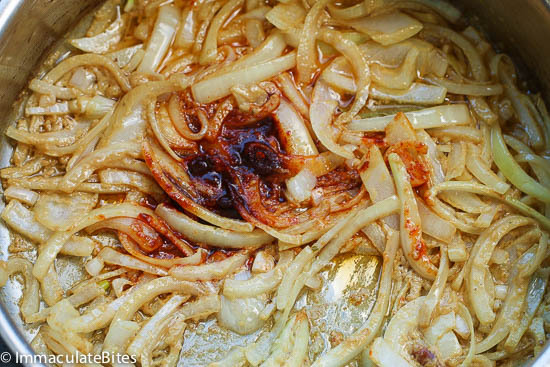 Do you know this onion mustard garlic sauce is a hallmark of Senegalese tables? Yes indeed. Since Senegal was under French control, for period of time. 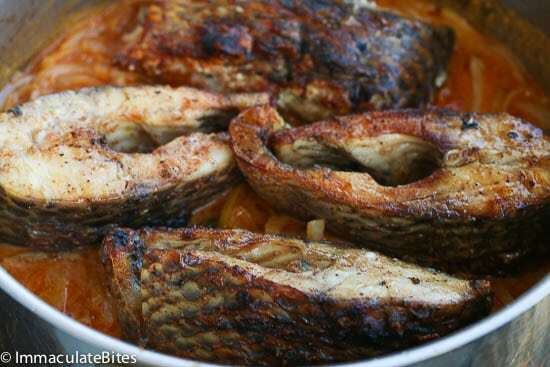 Naturally, the people of Senegal adopted some of their cooking techniques and flavor. 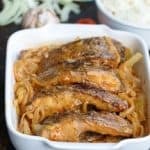 This cooking technique is such a hit and has spread its wings to other Francophone neighboring countries. 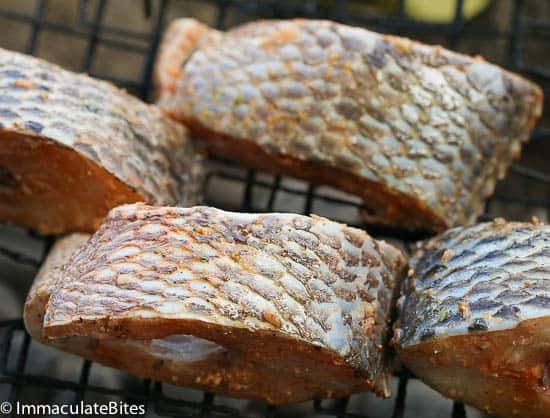 In this recipe, the fish is season and grilled – sorry east coast folks, I can’t help but take advantage of our beautiful Los Angeles weather- what can I say? We are spoiled. 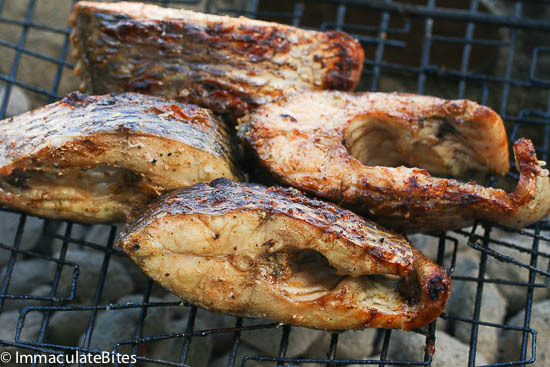 However, you may fry the fish if you really want a crisp exterior and don’t want to grill it. Adjust the lemon to suit your tastebuds. Prepare the marinade of lemon juice, onions, pepper, minced garlic, green seasoning or herbs (parsley, basil minced) and Maggie. 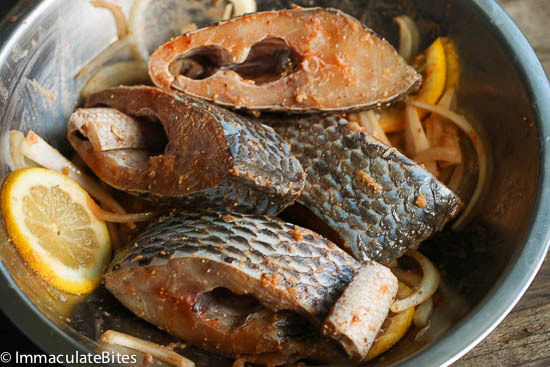 Douse the fish with the marinate and refrigerate for an hour or preferably overnight. 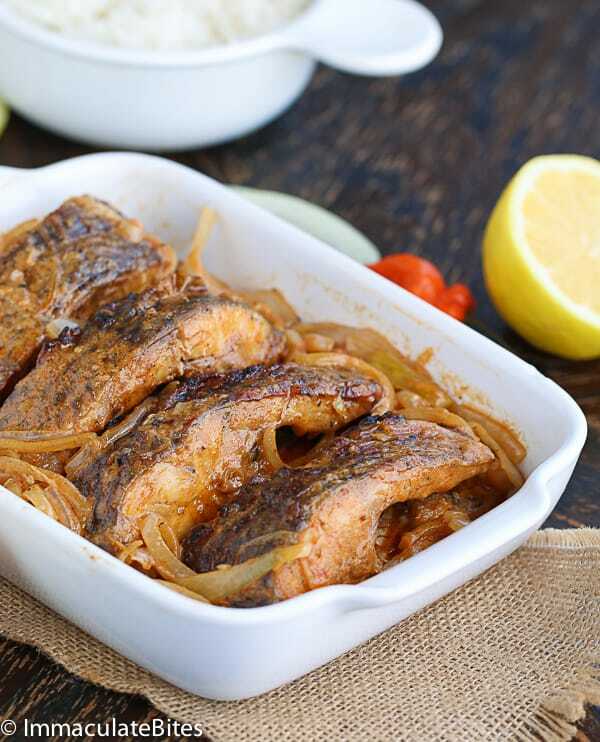 Heat the a cast or oven safe pan and fry the onions with the bay leaves, mustard, and marinate juice left over from the fish for about 5 minutes. 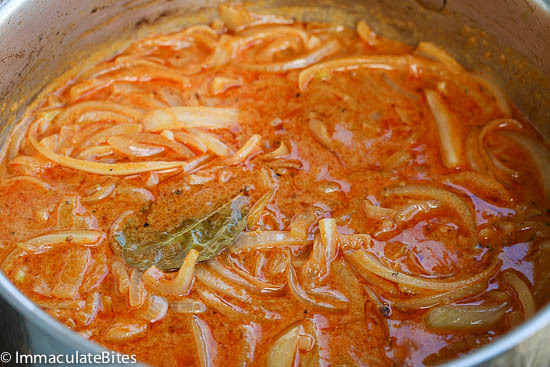 Add about ½ a cup of water cover and simmer until the flavors come together 4-5 minutes. 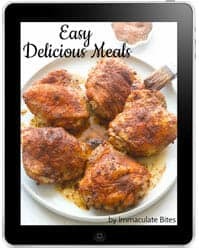 Adjust for seasonings, adding salt and pepper to taste. Discard the bay leaf. Place the fish back in the cast iron on top of the onions sauce. Simmer for another 5-8 minutes until flavors come together Arrange the fish on a plate, top with the lemon and mustard sauce over it. Garnish with the remaining lemon half and serve. Did you use Dijon mustard? Thanks Kelsey. Let me know how it works for you! Looks yummy. Will definitely try it.